This item is currently out-of-stock. You can buy it now, but please note that the item will not be available for shipment until at least May 22, 2019. Get ready to get organized with the Sort It and Store It Bin by KidKraft. 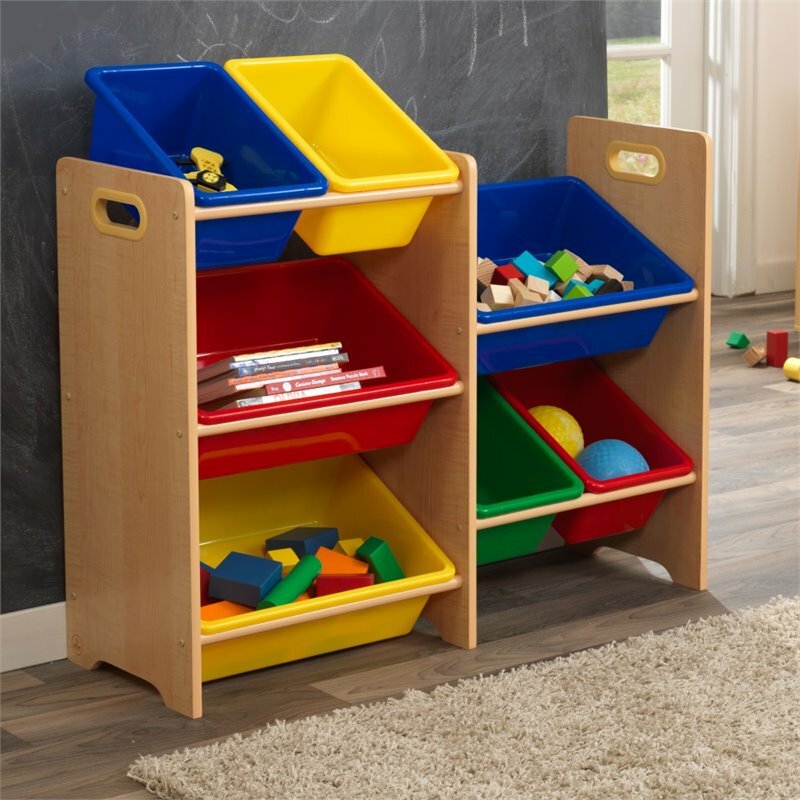 Children will learn how to organize their toys and belongings with the 7 colorful storage bins. Clean up time will be a breeze with the side handles for easy placement in any room, plus all bins are interchangeable for convenience. Every child is an individual with a limitless capacity to create and explore so let them run wild with Kidkraft's wooden toys and room furnishings! Kidkraft has been an industry leader in creating and manufacturing fun, safe and quality products since 1968. Because KidKraft was founded by engineers (yes, engineers!) the craftsmanship and integrity of their designs go beyond what meets the eye so you can be confident that your child is getting the best during play time. KidKraft's bold, colorful toys and practical children's furniture are great for play time, education, and as heirloom pieces. Let your kids get creative with their large selection of play kitchens and kitchen sets for both boys and girls, or give their coordination and building skills a try with train tables and sets. Read, draw and learn with their table and chair sets or practice role playing with their dollhouses, some which are the perfect size for Barbie! KidKraft also has a large selection of toy boxes, toddler beds, step stools, easels and more!